UN Secretary-General António Guterres on Friday issued a formal response through his spokesperson to the scathing Independent Expert Panel (IEP) report into sexual harassment, bullying, and abuse of power at UNAIDS, which was released last week in Geneva. 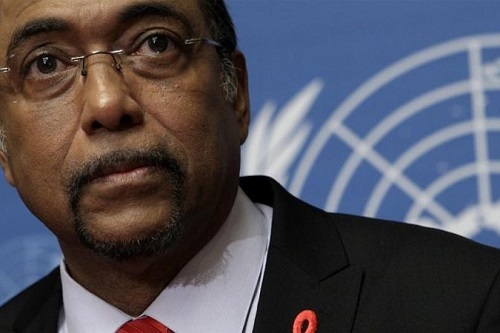 The report calls explicitly for the removal of Michel Sidibé, Executive Director of UNAIDS. What does it take to be fired from the United Nations? The IEP report excoriates the senior leadership of UNAIDS, noting over and over the failings of Mr. Sidibé, who “has created a patriarchal culture tolerating harassment and abuse of authority and in his interviews with the Panel he accepted no responsibility for actions and effects of decisions and practices creating the conditions that led to this review.” It beggars belief that Mr. Guterres has decided to abdicate his responsibility to end the ongoing crisis at UNAIDS. This is outrageous.